Knitting Pipeline: Episode 27 Knitting is my Passion! Episode 27 Knitting is my Passion! To view a Longaberger January Sale flyer visit www.longaberger.com/flyer. To save on shipping contact me by email or phone. With an order of $150 you may choose an additional item at 1/ price! A contest winner is announced for the 3 patterns donated by Stephen West of Westknits! Thank you to Stephen West! Thank you to all the Pipeliners who contributed comments on the previous topics of whether ponchos are in fashion and shawl wearing for men. Hypoteneuse by Anne Hanson is a shawl appropriate for both men and women. The best viewing for American Bald Eagles is the winter months in the upper Midwest, along bodies of water. Choose a cold winter day when there is ice on the water. Places where the ice is broken are spots where eagles tend to gather for food. Dams, harbors, under bridges, or barge trails are possibilities. The best times of day are around 10 AM and 3 PM although you can find them anytime during daylight hours. Takes 5 years to attain full mature plumage. Can see a target from up to a mile away. In the 1960's there were only 400 pairs of nesting Bald Eagles in the U.S.
After the ban of the pesticide DDT in 1973, Bald Eagles (and other wildlife) began making a comeback. 2007--Removed from Endangered Species List and are now a Protected Species. I finished my Citron which I began in October. It was published in Knitty Winter 2009 and was designed by Hilary Smith Callis. I added beads on the bottom ruffle. See my project notes for details. I then used a crocheted bead border from Lorna Miser's book Faith, Hope, Love, Knitting. Tedious but definitely worth it. It took several days to finish the bind off because I could only accomplish it while sitting at a table. This is the crochet bead bind off video for the shawl. After talking about my Citron I tell a story about a friend's reaction to the shawl. She told me in no uncertain terms, "You need to get a life!" Thank you to my friend, Mary, who came to my rescue with, "She HAS a life and it is knitting!" We all should have a passion in life outside of our family and work. Fortunately, I have more than one. Time is our most precious commodity. As knitters we make the most of little bits of it. From our discussion of "No Purl Patterns" the following were added to the list by Pipeliners. Lorna's web site is Lorna Miser Designs. The book is available here or on the usual channels. Highly recommended especially for those who like to read knitting books. Each pattern has a story with it which makes it very personal. The author has put a lot of herself into the book. There is a wide range of patterns, several that I have tagged to knit. The patterns are rated for difficulty level. 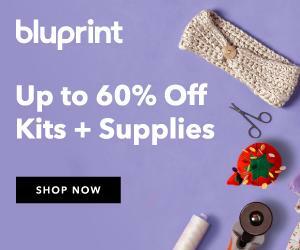 Patterns include Grandmother's Lace Shawl (with Helen's Loopy Bind-Off that I used on my Citron), Sweet Baby Sweater, Lace Vest, Heart Pillow, Socks, Slippers, Lap Throw, Homemade Knitting Needles, Square a Day Blanket, Child's Poncho, and more. The instructions are clear and constructions methods make sense. I am very glad this book is in my knitting library. Leave a comment below to enter a drawing for an autographed copy of the book, donated by the author, Lorna Miser. Winner will be announced on January 21, 2011. I am still figuring out my plan for a man's sweater. If you want to see designs I am looking at, see my Ravelry queue and search with the tag Norwegiankal. I will probably use one of these designs as a springboard but will use Elizabeth Zimmermann's guidelines for the sweater. Feel free to choose any Norwegian design if you want to jump in on the wintery fun! A hat, mittens, child's sweater, or vest, are possibilities for smaller projects. Speaking of EZ, I think we are due for an EZ letter soon. Don't you agree? This is my first time commenting on your podcast, but I just had to say how much I love how your Citron turned out with the beaded bind-off. I've passed on the Citron before, but yours really has me rethinking it. Beautiful! Another great podcast. I would love this book if only for the bind off used on the Citron. Like the other commenter I too had not considered the Citron until I saw yours. So glad to see you got a life...a knitting life! I went to Lorna's website and absolutely fell in love with the Lace Rim Shawl that is pictured on her purple Mustang. 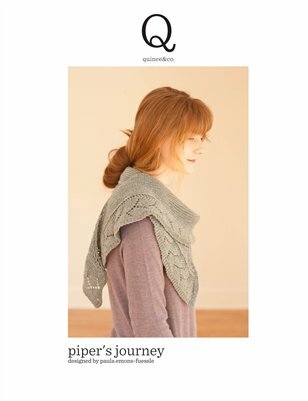 I was thrilled to see that she has posted the pattern for it (the shawl, not the Mustang - lol) and I am definitely going to find the perfect yarn to make it. Purple being my favourite colour, that may be my choice. The bind-off for your Citron looks smashing! Great job! I'm glad your good friend Mary stood up for you! Your Citron with the beaded fringe looks great. Lorna's Lace Rim Shawl would look nice draped on my purple Rav too--guess it's another one for my queue. I love the title of this book! And your shawl border alone has me sold on it!!! It's gorgeous! Thank you for an encouraging podcast. I totally agree with your friend: my life is my knitting. I love my hobby and it loves me, so be darned to all those muggle non-believers! Thanks for the great contest Paula! Lorna has a wonderful sense of color, texture, and pattern. I'd love to learn more about her and to knit one of her designs. That is by far the nicest Citron I have seen to date. I really like the way you explained why the phrase "get a life" is hurtful. Time is our most precious resource. Your beadwork is beautiful and the book looks perfect for a reader and knitter. I love your podcast. I am knitting my second Citron and am inspired to try the beaded bind off now! This looks like such a nice book to own- and I am sooo excited about the KAL! I think that anyone who has a true passion of her own would never say "Get a life", unless it was meant as a joke. People with obsessions (oops, I meant passions) are happier than those without, in my opinion. I love the name of the book....Faith, Hope, Love, Knitting....sounds like a lovely book. Love your podcast, Paula. This Podcast was wonderful (as all of yours are)! I recently made a Citron as well but yours, with that beautiful bind-off, is just lovely. I applaud your segment on knitting as passion--I definitely share that passion and wish I didn't have to go to work tomorrow so I could keep knitting my addictive argyle vest! I'd love to win the book. Thanks again, Paula. Imagine my delight hearing you talking about your Citron as I was knitting on my own! Paula, thanks for your podcast. There's always something which resonates--this week it was your thoughtful and thought-provoking get a life comment. Perfect! Cheers to you Paula for your knitting passion and for promulgating the thought that the more passions you have in life, the better off you are! Thanks for a great podcast; can't wait for the next episode! Your Citron is lovely! I always found it a bit plain and boring, but the beads and especially the crochet border make yours really shine. I'd love to win the book - if it has things like that border in it, it must be awesome! I love your show and your show notes! I like that you combine knitting with nature. Two things I love in life! I'd love to win the book. None of my close friends knit but they do appreciate what I knit. Some say they don't have time (most of them are retired now, what do they do with their time)? But at least they now are use to me knitting and if I should give them something they really love it. Oh, to have all day to knit, one day soon! I'm a new listener and love your podcast. Already learned so much. Thanks! I've really enjoyed your podcast over the last few months and am so delighted that you've added this passion for podcasting to your one for knitting. I had to chuckle when you mentioned that Lorna's book was a good one those who like to read knitting books as this is totally me! Some months ago knitting books overtook any other kinds as my end of day & first thing in the morning reading. It quite snuck up me. Your Citron Shawl came out beautiful!! I am inspired to try one myself. I would love to win the book, it sounds like a good read. Hi there, I'm a new listener and I greatly enjoyed this podcast today. Your discussion on ponchos and shawls/wraps are insightful, but what really drew me in was what you had to say about passion. I, too, agree that everyone should have something they are passionate about, and cannot imagine life without knitting! Thank you for the podcast. I'm Jadee on Ravelry and have my own podcast, Twisted Strands. Cheers! I love the bind-off technique you used on your Citron. If I make another one I will definitely use it. Thanks for the chance to win Faith, Hope, Love Knitting book. Hi, Paula! I'm a new listener and really enjoy your podcast. I like that you share your interests beyond knitting while staying centered on knitting. I think that shows that you certainly 'have a life' that is rich and full. Thanks for putting out the show and thanks for the chance to win a great book! This is my first time commenting on our blog. I really enjoy listening to your podcast. It is always so very positive and informative. Really fell in love with the Citron Shawl and the beaded edge. Thank you for the video. I've never done any knitting with beads, somehow always imagining putting the crochet hook through the bead, which would not work at all! Your instructions are clear and inspiring. I always enjoy your podcast. Happy New Year from Maine! I'm another first time listener and I really enjoyed your podcast. I finished a Citron for a friend to wear at her son's wedding. It wasn't too bad but one is enough for me! I'm with you on the "get a life" comment. It's not an expression that comes to my mind to say to someone, and I'm glad of it. I have many passions: the people in my life, my dogs, my profession (high school teacher), exercise, and of course knitting. My passions shape my life by the lessons they teach me. Right now, I'm learning the lesson of patience (again!) from knitting. I just listened to your podcast for the first time (episode 27) and enjoyed it so much I am subscribing so as not to miss any future episodes. Thanks for a great listen! Loved the show. There's a Norwegian hot pad pattern that I've been thinking about from drops. This might just be the perfect time to give it a try. Love the Citron. The beads make it look totally gorgeous! Knitting is also my passion. I get a lot of comments about it too, mainly from co-workers. I've heard all types of comments ranging from "I didn't know anyone still knitted" and "I thought only old people knit". It's sad! Anyway, I would love to have this book. You do have a life! You create beautiful, unique, well-worn garments with your own two hands. You admire nature. You are a musician. I'm sure you have more qualities, too. What a wonderful life you live! I am a new listener to your podcast. I not only enjoy your discussions about knitting and your projects, but I also enjoy your comments on nature and playing your pipes. I love knitting, although I haven't been doing it that long, but I can also identify with your love of nature and watching birds. My husband built a bird feeder right outside our kitchen window and we get quite a bit of enjoyment from watching who comes to feed there. I look forward to hearing more of your podcast episodes. And I also enjoy the music! Keep up the good work! I always look forward to your next podcast. How on earth could someone misinterpret a passion for knitting as having no life? She needs to learn how to knit!!! Hey! I love your podcast! This looks like a really neat book. Hello! I just found your podcast via Camp KIP. I have a couple of Norwegian sweaters in UFO status; maybe your KAL will be the push I need to get them back into current WIP status. I'd love to win that book. Did you know that Schoolhouse press is planning on releasing a book about garter stitch only patterns from EZ? That one is definately going on the must buy list. Check it out on their website. Your Citron is just beautiful! I think I may have to make one. If it is not too late I would love to have a chance at the book. I enjoy your podcast very much. Hi, I just started listening to your podcast and really enjoy it. Your Citron is beautiful, it is on my to do list. I am finishing up a Multnomah at the moment. I am going to do Stephen Wests Pogona and a KAL with Wolles color changing yarn through Serial Knitters on Ravelry. I would love a chance at the book, thank you. I enjoy your podcast and love your blog. The photos are great and the video a huge help. Thank you for all the effort you put into it! I hope I win the Lorna Book!